I Only Love You Because I Have To » Blog Archive » The Book is Here! 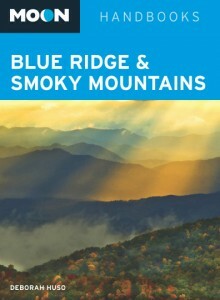 My new book, the 1st edition of Moon Blue Ridge and Smoky Mountains (Avalon Travel, 2010), is hitting bookstores around the country this week. But you can order an author signed copy directly from my web site, too.